The field of anthropology goes under the magnifying glass in this fiery investigation of the seminal research on Yanomami Indians. In the 1960s and '70s, a steady stream of anthropologists filed into the Amazon Basin to observe this "virgin" society untouched by modern life. Thirty years later, the events surrounding this infiltration have become a scandalous tale of academic ethics and infighting. The origins of violence and war and the accuracy of data gathering are hotly debated among the scholarly clan. Soon these disputes take on Heart of Darkness overtones as they descend into shadowy allegations of sexual and medical violation. Filmmakers brilliantly present two provocative strategies to raise unsettling questions about the boundaries of cultural encounters. They allow professors accused of heinous activities to defend themselves, and the Yanomami to represent their side of the story. As this riveting excavation deconstructs anthropology's colonial legacy, it challenges our society's myths of objectivity and the very notion of "the other." José Padilha is the Brazilian director of the films Bus 174 and Tropa de Elite, for which he won the Golden Bear at the Berlin International Film Festival of 2008. The films are intended to form part of a trilogy, the third part of which will focus on politicians. His film Secrets of the Tribe premiered at the 2010 Sundance Film Festival to critical acclaim. 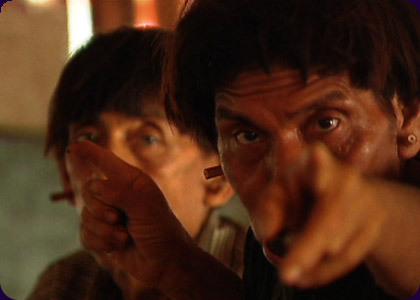 This documentary explores the allegations, first brought to light in the book Darkness in El Dorado, that anthropologists studying the Yanomami Indians in the 1960s and 70s engaged in bizarre and inappropriate interactions with the tribe, including sexual and medical violations.